"But you want romance: earth shattering, life changing." "It should be!" Check out this official trailer for an indie relationship drama titled 1 Night, written and directed by Minhal Baig. The film is about two different couples spending one night (hence the title) at a hotel, looking back at their lives and relationships so far. The cast includes recognizable faces from other movies: Anna Camp, Justin Chatwin, Isabelle Fuhrman, and Kyle Allen. The film already played at a film festival last year and arrives in theaters this February, for anyone curious about it after checking out the trailer. I like the music in this trailer, and the dichotomy of the two couples looking at their relationships and where they really want to be. Have a look. Thirty-something Elizabeth (Anna Camp) must decide whether to salvage her relationship with Drew (Justin Chatwin) after much personal disappointment. Meanwhile, Bea (Isabelle Fuhrman), a worrisome teenager, reconnects with her introverted childhood friend, Andy (Kyle Allen) to overcome their differences in high school social status following their prom. Past and present collide as two couples explore love over the course of one night at a hotel. 1 Night is both written and directed by filmmaker Minhal Baig (on Twitter @minhalbaig), making her feature directorial debut. This first premiered at the Austin Film Festival last fall. 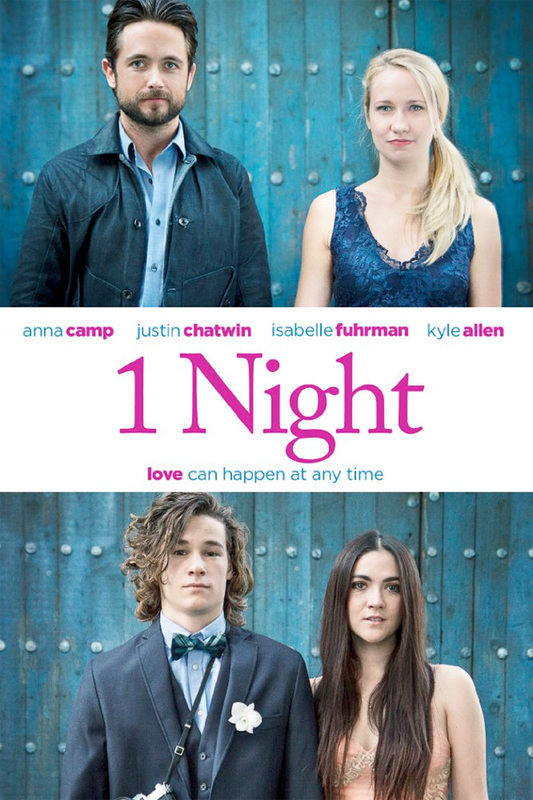 1 Night opens in select theaters + on VOD starting February 10th this winter. Hope Justin Chatwin redeems himself. DBZ: Evolution made me hate him forever.